"Our princess loves sparkles, she wears dresses, but she also wears pants specifically when she has things to do"
"Today" host Savannah Guthrie and educator Allison Oppenheim have released a new children's book, and it's all about reminding girls that it doesn't always matter what they wear; it's that they have the power and ability to accomplish any task they set their mind to. 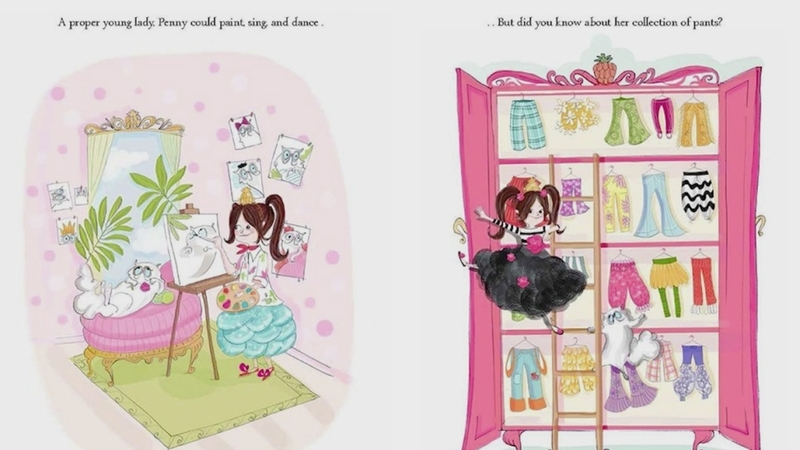 The book, which is coined "Prinesses Wear Pants," follows the journey of "Princess Penelope Pineapple" as she navigates the world as a girly-girl, sparkly princess who also makes sure to wear different pants and tackle any job. "Girls love princesses and we wanted them to be able to embrace that but to maybe dig a little deeper and think about it," Guthrie said. "So our princess loves sparkles, she wears dresses, but she also wears pants specifically when she has things to do. She's got a lot of important work. She's a leader. She's a doer. She's a go-getter."